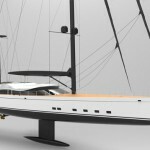 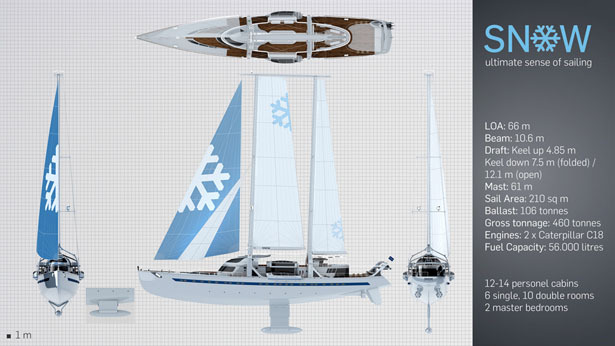 Snow 66 meters Sailing Yacht concept with a extreme approach, elegant lines combine with modern design and classical taste. 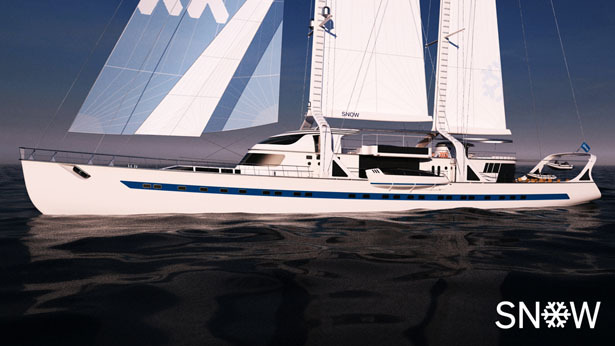 One of special features from this yacht is the twin masts that split upon hull to increase its performance as well as stabilization. 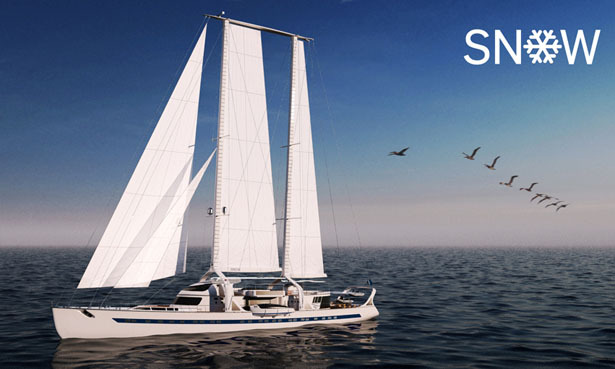 Designed by Hakan Gursu, this project aims to bring you the ultimate sailing experience as it is one of the latest generations of retro schooners except this time with improved strength and sailing joy. 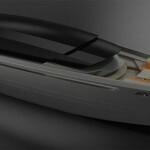 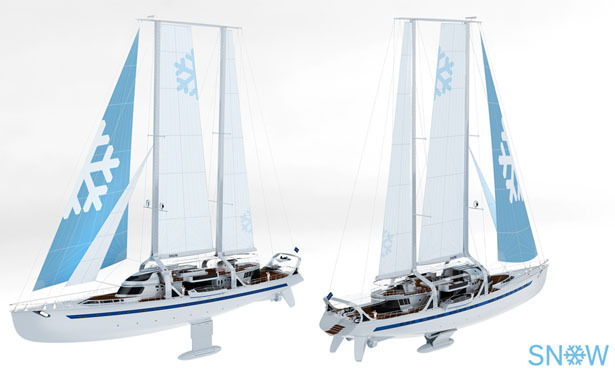 The twin masts offer better stability but also take significant amount of space, therefore it’s important to design the flexible interior layout. 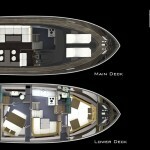 The large multi-deck areas offer efficient usage including flybridge, upper and lower deck, a suspended deck. 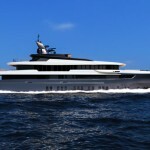 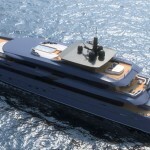 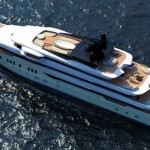 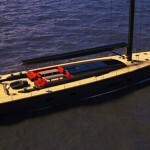 To provide extra space for the crew, this yacht also has an additional lower deck. 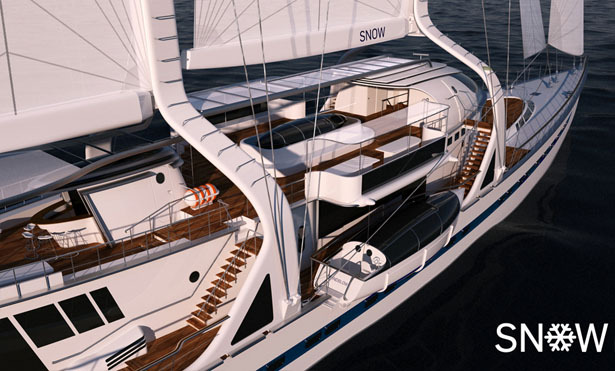 The main deck provides an inclined space on fore, multifunctional room, dining room, main hall, a stern room, and of course breath taking panoramic view. 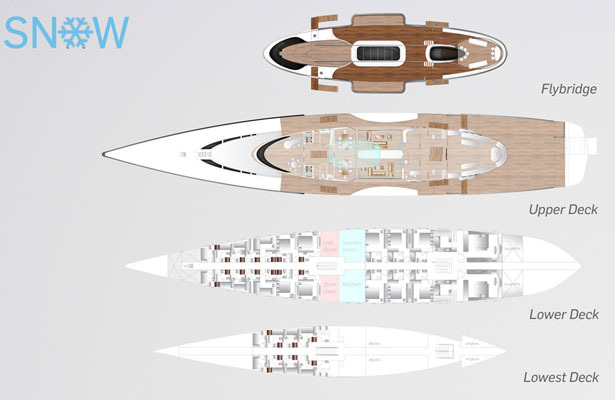 There are 2 bathrooms which are located at the front and end, 2 showers are available near fore which opens directly to deck. 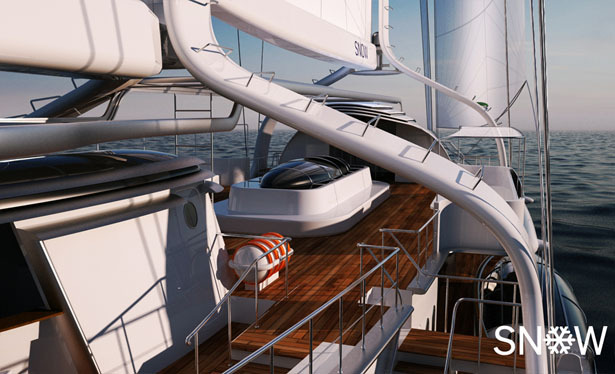 You can find stairs to access different levels near the bathroom and there’s also upright stair on fore which is especially designed for the crew. 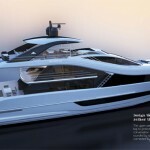 The captain and control room is located at the flybridge deck, you will also find a deck bar at the same location. 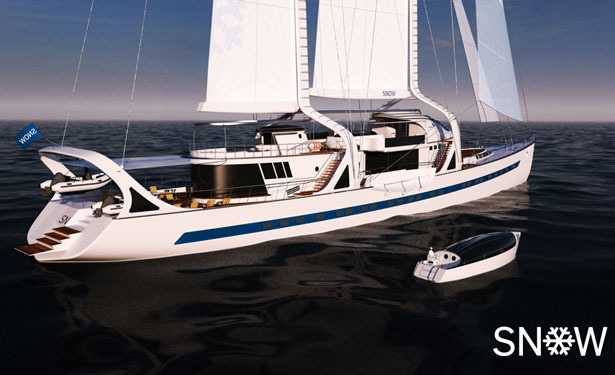 In total, there are 6 single, 10 double, and 2 mater bedrooms for guests, 12-14 cabins for personnel, enough to accommodate large groups. 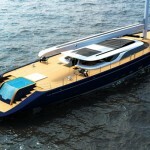 For the purpose of cruising, there are 2 tender boats available on hull body. 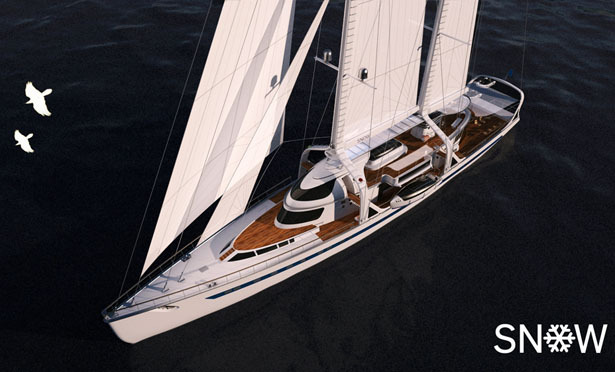 Tagged as classical taste, deck bar, dining room, flybridge, lower deck, sailing experience, schooners.